Serving the country is your job. Serving you is our job. New Century Management is proud to have served over 40 different federal agencies with a wide range of solutions in consulting, coaching, HR, research, and learning issues. 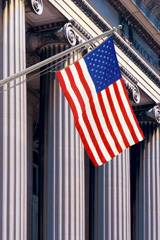 See Federal Programs and Discounts for our history of working with federal government agencies. By 2010, 70 percent of the federal workforce will be eligible for retirement. A crisis in human capital is brewing in the Federal Government. Change is accelerating. Plan for it now. Don't pay for it later.